It's tough to get hold of perfect pelts in Red Dead Redemption 2, but this guide will show you how to guarantee a perfect animal pelt. Perfect pelts are by no means easy to come by in Red Dead Redemption 2, but they're well worth tracking down and finding. In this Red Dead Redemption 2 perfect pelts guide, we'll be putting together all the details you need to know about the incredibly valuable items, including how you can uncover them in the wilds, as well as what crafting options they can be used for. A pelt in Red Dead Redemption 2 is the hair and skin removed from an animal after you've hunted and killed it. An animal pelt is the prize reward from hunting in RDR2, but there are ways you can hunt to make sure you end up with the best quality pelt possible. If you don't know what you're doing when hunting animals you can end up with poor quality pelts, which in turn don't get you the best rewards. There's also the star level of an animal to take into account, with only three-star animals able to give you a perfect pelt. Aside from tips on how to get perfect pelts, we've also got links to specific guides on how to get specific perfect pelts. First thing’s first, you’re going to want to set your sight on an animal, or a group of animals, since creatures like deer often roam in packs. 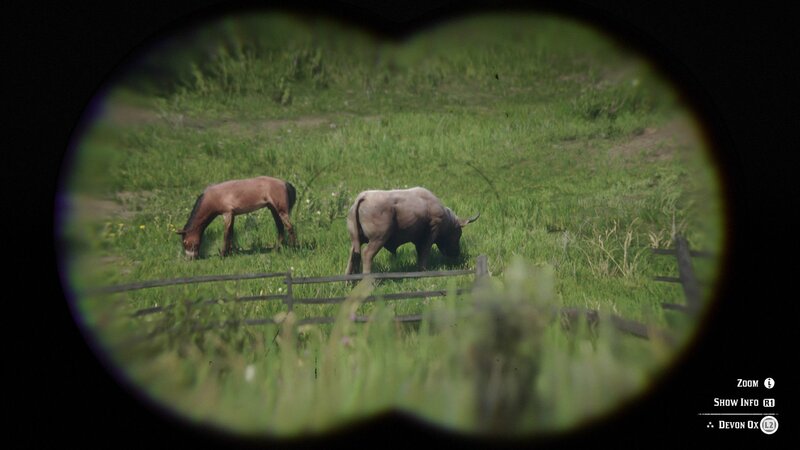 Now equip your binoculars from the item wheel by holding the left bumper, and use them to focus on the desired animal. Holding down the right bumper while focusing on an animal will allow you to ‘study’ the animal. Once you’ve held the right bumper for roughly three seconds, an indicator will pop up, rating the pelt of the animal out of three stars. One star is obviously the worst, while a three star pelt is perfect. It's these three-star animals that you want to focus on if your aim is to get perfect pelts. Now you need to head into the Compendium in from the main pause menu. Select the listing of the animal that just generated the three star rating, and the Compendium entry will tell you which weapon you should use to kill the animal, if you want to keep the three star pelt intact. Using a powerful weapon in this situation can damage the pelt, so paying attention to the weapon here is critical. We've got a full listing of animals and the perfect weapon to use on them in the Perfect Pelts Weapons list just below. With the ideal weapon equipped, now, you need to make sure you kill the animal with a single shot. No matter which weapon the Compendium tells you to use, a single shot to kill an animal keeps the perfect pelt intact (and also gives you Honor rating a boost). Just in case you're approaching an animal without having it unlocked in your Compendium, we've compiled a list of the weapons you should be using when hunting a specific animal with the aim of earning a perfect pelt. Grizzly Bear - Rifle with high velocity or express bullets. Whitetail Buck - Rifle, or a bow with poison arrows. Whitetail Deer - Rifle, or a bow with poison arrows. Chicken - Bow with small game arrows. Cougar - Rifle, or a bow with poison arrows. Florida Cracker Cow - Rifle with a scope, or bow with improved arrows. California Valley Coyote - Bow, or a repeater. Rocky Mountain Cow Elk - Rifle with a scope, or bow with improved arrows. Devon Ox - Rifle with a scope, or bow with improved arrows. American Pronghorn Doe - Rifles, or a bow with poison arrows. Rocky Mountain Bighorn Ram - Rifle, or a bow with poison arrows. Black-Tailed Jackrabbit - Varmint rifle. North American Raccoon - Varmint rifle. Northern Copperhead Snake - Bow with small game arrows. Scarlet Tanager Songbird - Bow with small game arrows. American Red Squirrel - Bow with small game arrows. Western Gray Squirrel - Bow with small game arrows. Black Squirrel - Bow with small game arrows. Alligator Snapping Turtle - Bow with small game arrows. Eastern Wild Turkey - Varmint rifle. Gray Wolf - Rifle, or a bow. One way to get yourself a perfect pelt in RDR2, no matter the animal, is to use Arthur's lasso. The lasso is one of the items you'll learn to use early on in Red Dead Redemption 2, when Arthur is sent after a young man who they come across while out in the snowy wilderness. 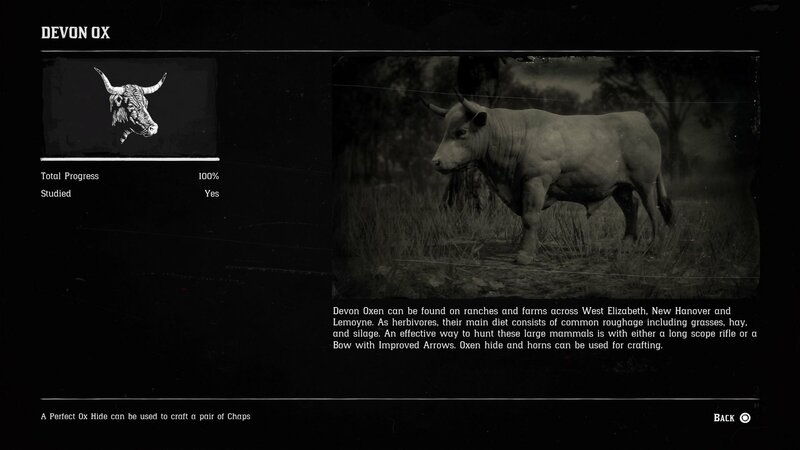 The animal ratings still apply when using a lasso to catch an animal, so make sure you go after those with a 3-star rating (as viewed through your binoculars). Once you sneak up close to an animal and are within lasso range, fire it off to land the rope. You can now sneak up close to the animal and use the on-screen button prompt to knife your catch. This should give you a perfect pelt in Red Dead Redemption 2. If you're after tips on how to get the Legendary Bear Pelt in Red Dead Redemption 2 and want to get your hands on the Legendary Bear Head Hat, Legendary Bear Coat, and Legendary Bear Roper we've got a full guide for just that. In our specific guide page we've got the locations of the bear and all the details on the rewards for trading the pelt with a trapper. If you're after tips on how to get the Legendary Moose Pelt in Red Dead Redemption 2 and want to get your hands on the Legendary Moose Hunting Jacket, and Legendary Moose Moccasins, we've got a standalone guide for that. We've got the locations of the Moose and all the details on the rewards for trading the moose pelt with a trapper. If you're after tips on how to get the Legendary Fox Pelt in Red Dead Redemption 2 and want to get your hands on the Legendary Fox Moccasins and the Legendary Buck and Fox Range Gloves we've got a full fox pelt guide for just that. On our guide page we've got the locations of the fox and all the details on the rewards for trading the pelt with a trapper. The location of the legendary cougar itself lies far to the west, and it's a tough road to get there. For a full walkthrough of the location of the cougar itself, as well as how to get hold of the fabled pelt, check out our guide just below. Arguably one of the more ferocious (and pesky) predators in Red Dead Redemption 2 is the wolf. If you want a guide on where and how to obtain the legendary wolf pelt in Red Dead Redemption 2, then check out our guide just below. The legendary buck can be found in the west of the map, northwest of Strawberry and west of Mount Shann. For the exact location of the creature, head to our guide on the legendary buck just below. After you’ve killed the animal, you can approach it, and skin in straight away. Now stow it on the back of your horse, and we’d recommend taking it to a Trapper, rather than selling it at a general store. Taking a perfect pelt to a Trapper can open up a ton of new crafting options for Arthur, including new gear, outfits, and more. But, if you would rather earn some quick money, then you'll want to take the pelt to a general store on the map, and sell it. The better condition the pelt is in, the more money you're going to make if you're looking to sell it, so you're guaranteed a decent payout if you bring a perfect quality pelt into a general store. 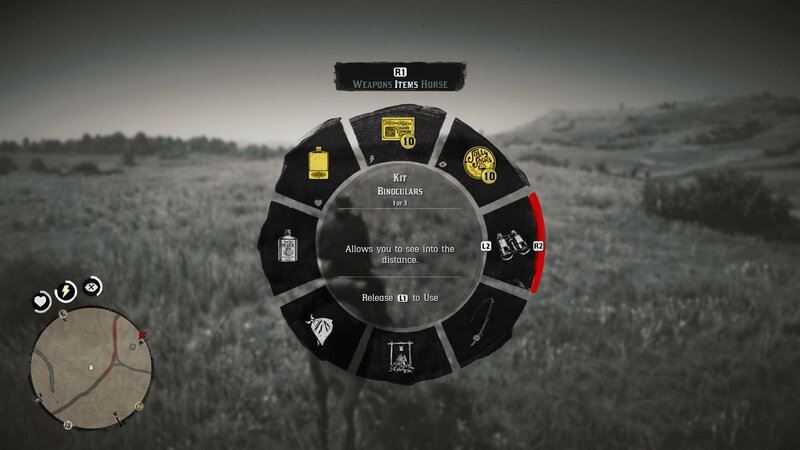 Now that we’re all done with this Red Dead Redemption 2 guide on how to obtain the perfect pelt from an animal, you can continue ahead to some of our other guides on the game. Head over to our Red Dead Redemption 2 legendary animals guide, or our Red Dead Redemption 2 legendary fish guide for more.